As expected, Apple has launched an 8 GB version of the iPhone 5c today, giving buyers a cheaper option in the company's mid smartphone tier. The new handset is priced at £429 in the UK, which is £40 cheaper than the 16 GB model; when the device hits the United States, it'll likely be priced at $499 going by Apple's pricing structure. Aside from the smaller amount of internal storage, the 8 GB iPhone 5c is identical to the other iPhone 5cs that were launched in September 2013. Most of the hardware is borrowed from the older iPhone 5, including the 4.0-inch 1136 x 640 IPS LCD display, Apple A6 SoC, 8-megapixel rear camera and 5.73 Wh battery. 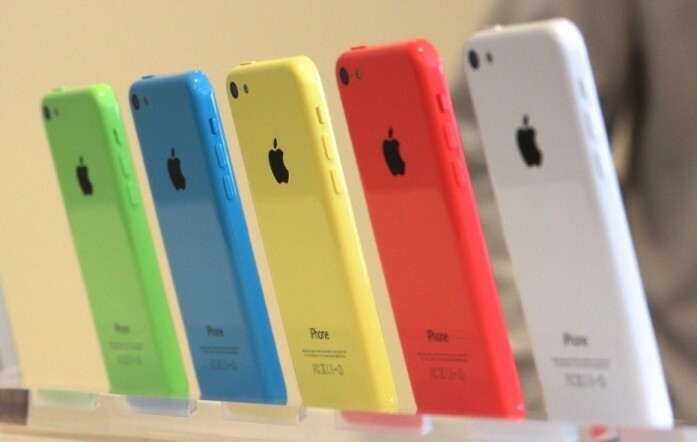 The choice by Apple to release a cheaper iPhone 5c with less storage is likely in response to mediocre sales of the device, which were lower than the company was anticipating. Most iPhone buyers opted for the high-end iPhone 5s when the two devices launched, overlooking the iPhone 5c's year-old hardware. The introduction of an 8 GB model may not improve sales either, as it's priced as high as many current-generation, newer Android devices such as the LG G2. Alongside the launch of the 8 GB iPhone 5c, Apple finally discontinued the iPad 2, replacing it with the fourth-generation iPad as the cheaper option in the company's tablet line-up. Many consumers felt that the $399 asking price for a two-and-a-half year old, non-Retina tablet was ridiculous at the time of the iPad Air's announcement, but this update to the line-up should be more appeasing. The fourth-gen iPad, now called the "iPad with Retina display", is a significant update to the iPad 2, as it features a Retina display, a faster Apple A6X SoC, better cameras, the Lightning connector, and a larger battery. It will be available for $399 as a Wi-Fi only 16 GB tablet, or $529 for the cellular model: the same price as the iPad mini with Retina display, and $100 less than the iPad Air.